Hello! I’m spending the evening at my boyfriend’s house this evening and while he’s working on blog designs, I decided to do a little bit of dream internet shopping. The combination of gold, silver, black and mint appeals quite a lot to me at the moment. It feels very fresh, minimal and, as cliche as it sounds, rather ‘me’ right now. After clearing out the majority of my wardrobe, I’m very much welcoming anything that gives it a new, fresh feel. First up, a beautiful white bag would be a welcome addition to my wardrobe, so the YSL one would be ideal (we’ll just ignore the price tag for now, shall we?). The minty shade Sophie Hulme piece is slightly more attainable and would add a great Spring hue to any outfit. 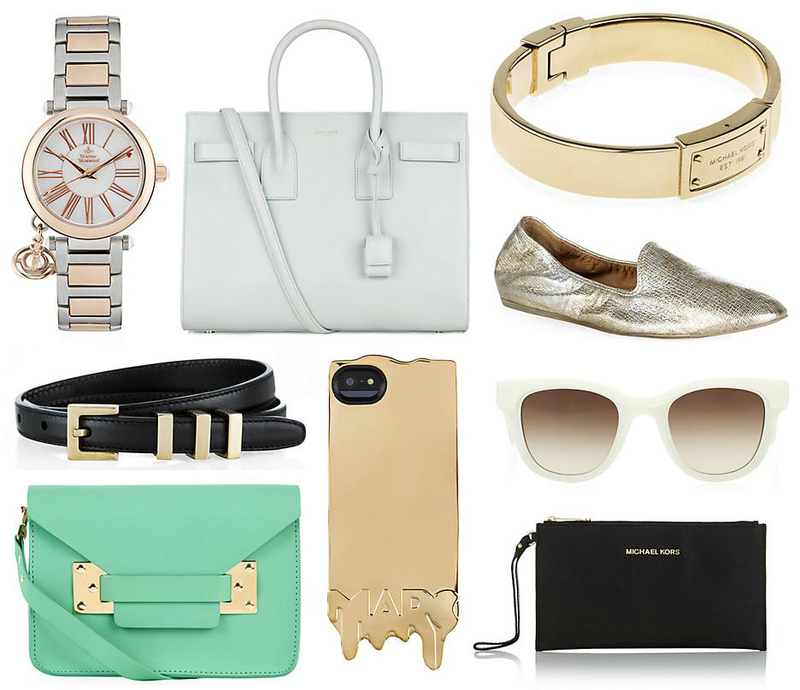 I love all of the gold items in the shops at the moment, especially that phone case and bracelet. I think all of the Vivienne Westwood watches at Harrods reflect exactly what I’m after too, as the one above is the perfect combination of gold and silver, plus the little orb detail is so sweet. I’ve owned a VW watch for years (five, to be exact) and it looks just as good now as it did when I bought it, so I know they’re worth the investment. Are you after anything new for Spring? Anything above caught your eye? Let me know on twitter.